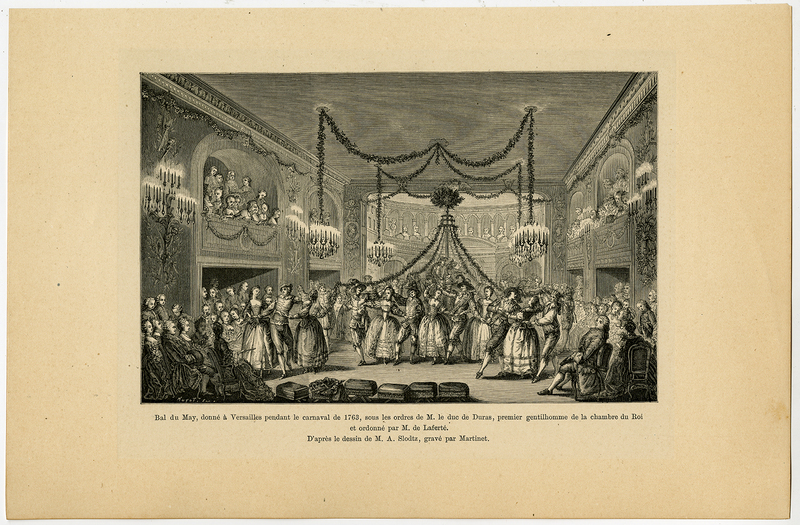 Subject: Plate: ''Bal du May, donne a Versailles pendant le carnaval de 1763 ...'' (Ball of May at Versailles, France during the carnival of 1763). After M. A. Slodtz, engraved by Martinet. Size (in cm): The overall size is ca. 28 x 18.2 cm. The image size is ca. 18.4 x 13.1 cm. Size (in inch): The overall size is ca. 11 x 7.2 inch. The image size is ca. 7.2 x 5.2 inch.